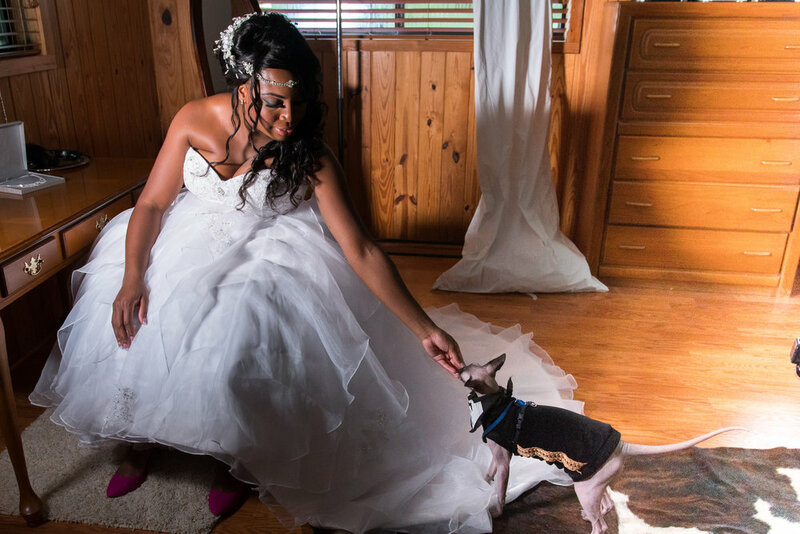 The Barn at Crescent Lake Wedding with Bam Bam the Naked Sphynx - Odessa, FL — FairyTail Pet Care - Wedding Day Pet Care! This adorable feline is special in SO many ways. For starters, he is a therapy cat. He walks on a leash, uses the human toilet & flushes, like a gentleman. He is sweet, playful, smart and clearly adorable. We met his parents during Wedding Week, and met with them shortly after to discuss Bam Bam's important role in their upcoming wedding. Our Meet & Greet lasted about 2 hours as we just could not get enough of Bam Bam and his wonderful personality! It was also very obvious that he was a very big part of the family and was adored by his parents. This was the first time incorporating a feline into a FairyTail Wedding. We knew it would be a different experience, but were nothing but excited to spend more time with this special kitty. We arrived early and explored The Barn at Crescent Lake so Bam Bam could familiarize himself with this new environment and feel more comfortable. 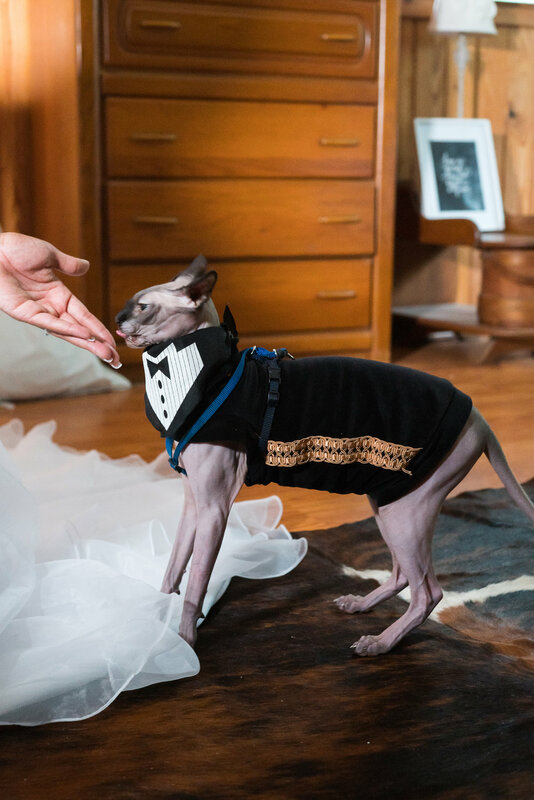 Walking around with a Naked Sphynx in a tuxedo on a farm is quite possibly one of the best experiences we could have asked for. He was a blast to hang out with! We, of course, spent time in the Bridal Cabin with Mom before she rode off in a gorgeous horse-drawn carriage to the ceremony location. Bam Bam watched as his parents said "I Do" and was there to congratulate them afterwards with sweet, sandpaper kitty kisses! If you haven't seen our GoPro Video from our first Feline FairyTail Wedding, you have go to watch - his little tail wags are THE best!! !